Wondering how to create a stunning yet simple dining room? It’s easier than you may think. The secret to creating an inviting room comes down to taking the time to choose a few signature pieces rather than trying to stuff the room full of items. A minimal, straightforward dining area will create the illusion of space even when you have very little floor space available. It will also be easier to clean and easier on the eye as well. 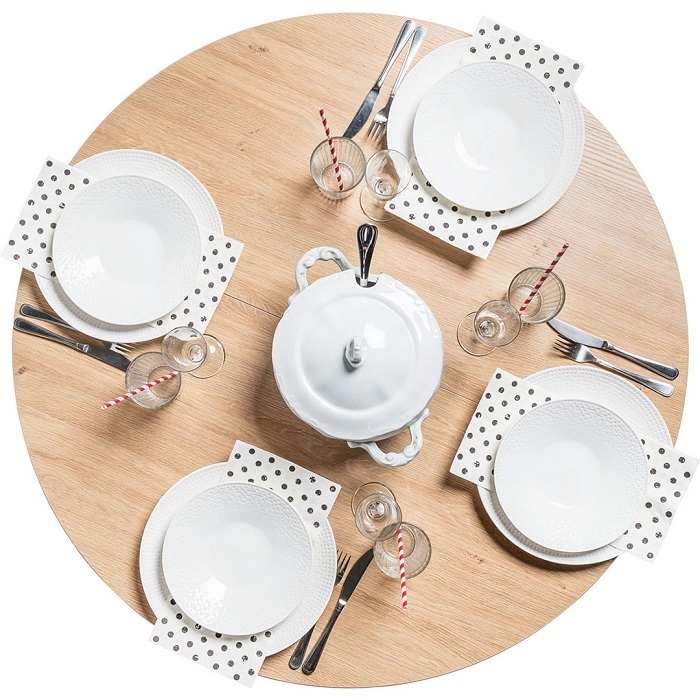 Ready to find out how to create the perfect space for your dining area? Here are some easy but effective tips on how to create a beautifully simple dining room that is just right for your home. Whether you have a small space or you are aiming to redo your current dining area, you don’t have to change too much to create the perfect place for breakfasts, meals and dinner parties. Try these ideas on how to create a simple dining room that adapts to your needs. When you have a neutral table with neutral chairs and neutral storage, you have far more room to change up your style without having to redo your entire dining room. Look for versatile pieces in calming, neutral tones and materials. 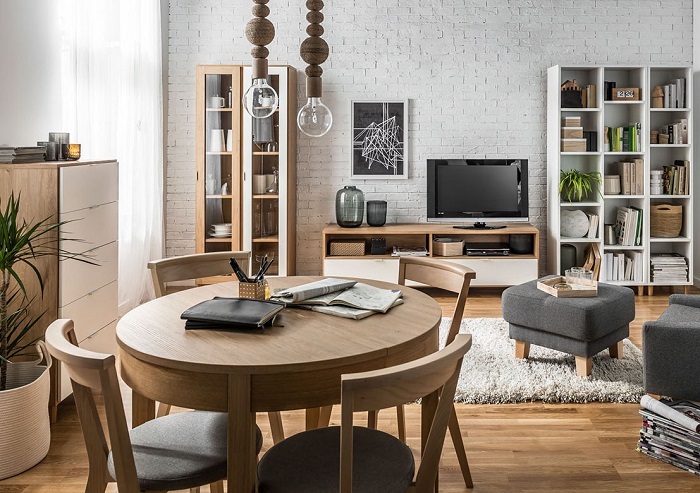 Oak, white and black will never go out of fashion, never clash with any of your other furniture, never look messy, and never fail to offer a plain backdrop for bright decor touches. That way, you can add colour through contemporary dishes, vases, plants, rugs, placemats, centrepieces, baskets, lights, ornaments, and wall art, while keeping your dining room nice and clean. Choose a flexible dining table. Dining tables may seem to be much the same, with only the size and shape that makes any difference. In reality, not all tables are the same. You get your average fixed-length tables that give you exactly what they offer. Then, you get adjustable tables that can add more space without taking up a lot of room when not in use. The latter is ideal for apartments, smaller spaces, open plan dining spaces, and any other home that prefers to be flexible. Look for well-designed extendable tables that can easily expand to suit your needs. Round tables, in general, are also often more compact – especially if they expand in use. Dining room storage is often overlooked. There are a few ways that you could approach storage in your dining area. 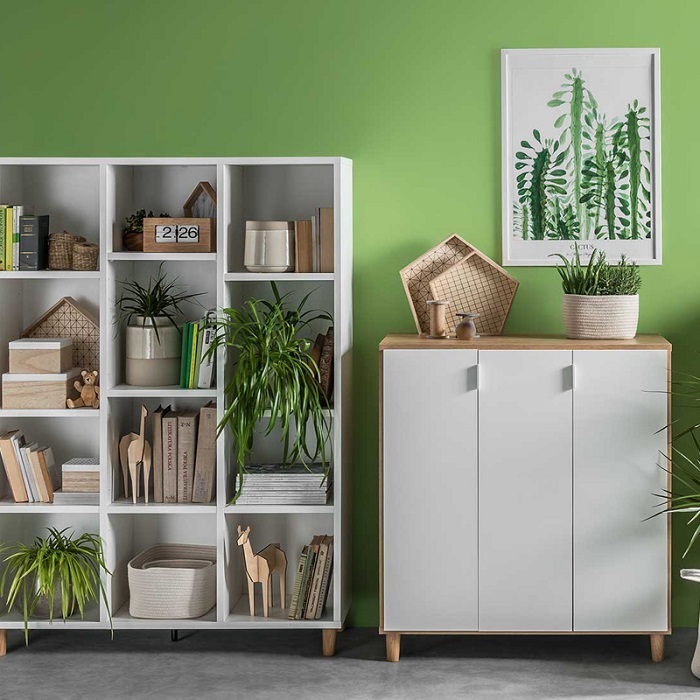 You could try open storage that uses bookshelves to display crockery, selected pots, baskets, plants, and other decor touches in a way that adds impact. You could look for simple closed storage that keeps your dining supplies out of the way without taking up too much space. You could even opt for a combination of closed and open storage to display the things you want to feature and keep the rest out of sight. Wall storage further helps to create storage without taking up too much space. 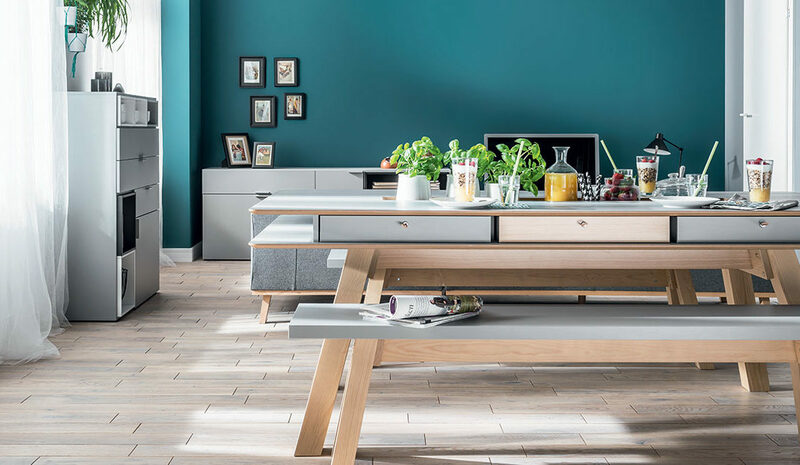 The Simple range offers a modern, minimal collection of furniture that is ideal for dining rooms. 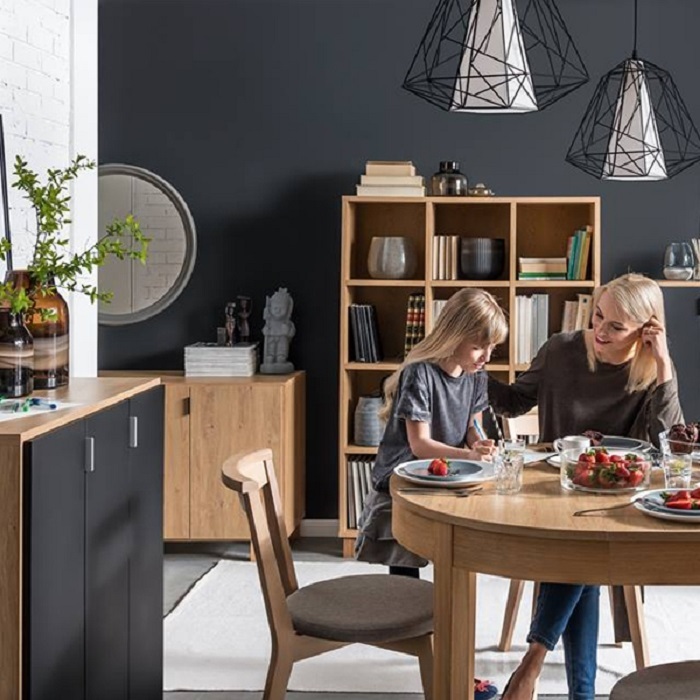 Browse the Simple furniture collection to find beautifully made simple dining room furniture that adds plenty of value to your home.